May I ask you, have you ever been in a place where you were like, “I want my message to connect with my audience so that I can convert more leads?” Or maybe have you been in a place where you want to create that video or create a webinar to be able to go out and get more leads and more sales, especially more of your perfect client or your right fit clients? If so, you’re going to love this episode. We have a guest expert who is uniquely qualified. He’s literally helped many experts build seven-figure, eight-figure, several six-figure type webinars. We’ve become friends over the last few years. We’ve worked together. He’s somebody that I deeply respect. He helps you craft webinar, sales pitches, funnels and messaging as well as designed programs that get you results. In other words, they get you conversions. Is that what you want? If you’re not, you’re probably in the wrong show. You can tune out, but if you are looking for that, I want to encourage you to stick around here to hear this incredible conversation with Joel Erway. Joel, how are you? Dan, it’s great to be on the show. Thank you so much for inviting me and having me on. I want to dive right into it. You’ve got such a fascinating background. You do fascinating work. You get to work with so many different types of clients overall. How did you get into this whole arena of creating webinars and creating more conversions for experts in businesses? I wish it was as simple as I woke up one day and said, “I’m going to build online sales presentations. I’m going to build webinars.” My background by trade is an engineer. I went to school in Rochester, New York, Rochester Institute of Technology. I graduated with a Bachelor’s Degree in Mechanical Engineering Tech. I spent five years there with my internships and whatnot. I got my degree and I lasted all of eight months after graduation of being a design engineer. It was just not my skill set. I was fine as an engineer, but I just hated sitting behind a computer doing CAD work and that was not my lifestyle that I wanted. After eight months, I started looking for a new job and I stumbled across an opportunity as a sales engineer. What it was, they were sales engineers, they were selling their equipment to my company. I thought it was a fascinating opportunity and I’m like, “There’s no way I’m going to get this job. I have zero sales experience.” I’ll take a stab in the dark and I’ll apply. Lo and behold, I’ve got the interview and I’ve got the job and I accepted because I was 21 or 22 years old. I’m like, “This will be an interesting opportunity here. It’s completely different to what I’m doing now, let’s give it a shot.” I was there for about five years and I helped grow a territory from zero to $2 million per year in annual revenue in Buffalo, New York. Buffalo was my territory at the time. Webinar Secrets Revealed: If you want to sell the course that you created, the best way to do it is through a webinar. I would look at these presentations and I would look out in the audience and I would see our engineers, they were our customers, just falling asleep. Engineers selling to engineers can be some of the most boring things possible. You would think that it would work, it’s an engineer selling to an engineer and it was horrible and it indirectly affected my bottom line. If we weren’t generating business and after two or three years, I either got to leave because I’m not making any money or I need to pivot. I decided to learn the art of the sales presentation and figure out how to give better sales presentations because I identified that as the biggest weak point and the biggest opportunity for leverage and growth. 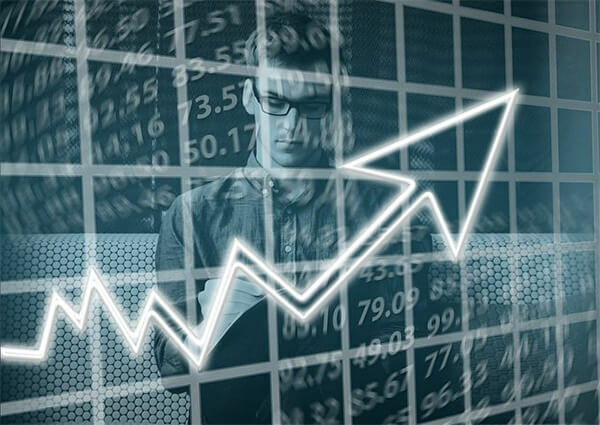 Over the course of a couple of months, I grabbed a couple of books on sales presentations and I read them and I realized that there were a couple of pretty key trends in those books that we were not doing in the presentations. I decided to take the bull by the horns. I grabbed those presentations, scrap them all and rewrote a couple of them and then just start booking my own appointments with these customers and say, “I’ve got a presentation.” It was me giving the presentation instead of my manufacturers. I went through his webinar training. I’m like, “I get it. I got the psychology of it because I had been doing it already.” I tweaked it and did what I needed to do to make it feel comfortable and started running my own webinars. Lo and behold, I started making sales. Unfortunately, I ran out of money for ads and I didn’t realize how close I was. Like looking back, I was close. I was making money with that course but with just a few small tweaks to the model, I could have had a lot more success. As you’re reading right now, have you ever found yourself in a place where you were that close to success where you were maybe just one tweak away? We’re going to explore what Joel did to crack the code, to get that next level breakthrough, the discovery that he made, how he’s been able to go out and build an incredible business on something that he loves to do and helping people like you solve a problem of being able to convert more leads to customers. If you never want to miss an episode, you can go to GrowthToFreedom.com/subscribe. Joel, what do you see are some of the biggest mistakes that people make? Not only in their business but also it probably applies to even creating a webinar, writing copy or creating marketing material to generate customers. Probably the biggest mistake is they give up too quickly, they give up too soon. With that particular course, that particular webinar and adventure that I was going down, I had limited funds. I had a reserve bank that I wanted to apply into this venture and that got depleted, which I ran out of cash. Looking back at it, I was so close but there’s a bright side to this story because the pivot that I made there ultimately led me to realizing the big opportunity for me. He’s like, “No, I don’t have any openings right now but one of my other coaching students here, let me introduce you to him because he’s looking for a phone salesperson to follow up leads on his webinar.” I’m like, “Make the introduction.” We did and his name was Jason. Jason was like, “Here’s what we’re doing. I’m spending about $1,000 a week in ads. We’re running a weekly live webinar and on average I’m basically breaking even. I’m making about one sale per week. There’s a lot of opportunity to follow up with the people who raised their hand, attended and didn’t buy. 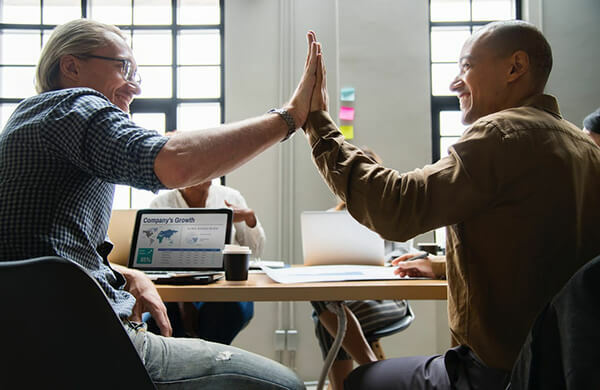 I would like you to reach out to them.” I’m like, “Okay, cool.” He said, “We’ll watch the webinar first so you know what you’re trying to sell.” I did and I watched the webinar. I’m like, “Can I take a stab at this webinar? I see some pretty low-hanging fruit that I think I could help improve.” He goes, “Absolutely. I freaking hate doing webinars so go for it.” I rewrote his webinar and two weeks later, I presented it for him on his behalf and he went from doing one sale a week to two weeks later when I rewrote and presented his wine is on his behalf, we did fourteen sales that week. He went from making $1,000 a week to $14,000 a week. His pivot right there, him being open to that opportunity of letting somebody else take a peek inside his business, it didn’t cost them anything. Literally he paid me nothing to do it. I took a percentage of his sales and he made fourteen-fold what he did the previous weeks combined and the rest is history. That’s when I realized there’s a huge opportunity for me to help other people with their webinars. That’s how we launched. As you think about Jason and your work with him and the flaws you saw in his webinar, now you’ve worked with hundreds of other clients all over the world. In fact, our company engaged you to help us with some work that we’re doing as well. What are some of the common threads that you see were the biggest breakdowns with the simplest fixes have these big exponential returns? Webinar Secrets Revealed: The pivot that we make can sometimes lead us to realize big opportunities. That’s same content in the webinar, the same everything, same program. I didn’t have to change any deliverables. I just made a two-degree shift in who I was speaking to and instantly my cost per lead on my ads dropped by 70%. We can now scale the ads. I had a lot more people to sell to and people were much more interested in learning how to write webinars for other people. I don’t know how much detail you want me to go into it as to why the expert market why that didn’t work for them. What I love about this is that two degrees. When I was a kid, we had this manual transmission car. My first car was a Plymouth Horizon. I remember that it was old so I constantly had to tweak it, but if the timing belt was just a little bit off, the car would stall. This sounds like one of those little things that if you just hear it for the first time, as you’re listening right now, you might just gloss, “I’ve heard that a thousand times. You got to focus in on your market.” “No. Stop what you’re doing and listen to what Joel is saying a two-degree shift. Everything else was literally the same but it was just providing the solution to the right market. The same message virtually but to the right market, it transformed his business from struggling to now seven to eight-figure type results for him and his clients.” What happened to you if you took the time to hone in on who your product is for and the problem you solved for that market and go back to the well. When you are working with clients and let’s say you run across a client and you’re exploring this idea, what are some of the things that you’d recommend for someone to truly hone in on their audience, Joel? Let’s say you didn’t create a seven-figure webinar. Joel’s been able to do that and even higher. Let’s say you were able to add a new stream of revenue for your business. Maybe it’s a five or six-figure revenue, but you were able to automate the process. You were able to bring clients to you in a steady, predictable way by just having people see your presentation online 24 hours a day, seven days a week. What would that do for you? What would it mean for you in creating freedom and opportunity and space? You’re going to go spend time with your family to travel, to be able to do some of the cool things that you love to do. We’re going to go deeper with Joel and some of his strategies and I am going to share with you one of the resources that Joel gave me personally that has helped our company get a lot more clarity, certainty, and direction as well. Joel, this incredible package you sent to me as a gift after we had met a couple of years ago and I still refer to it. I have my staff refer to it because in here it’s how you build a $10 million webinar and the secrets revealed. On top of that, you’ve got your buddy, Russell Brunson, who’s built $100 million-plus company talking to you and your tribe about successful webinars and the impact you’ve had. This is an incredible resource package and when you’re working with clients, having these types of tools available to build certainty and confidence is awesome. Knowing what you know now, what would you say to somebody who was thinking about doing a webinar? 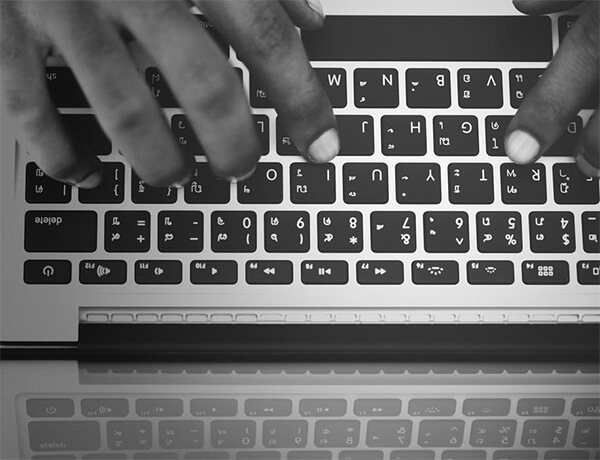 What would be the first steps that they should take to get clarity on building a successful webinar and automating their process? The number one thing that I focus on right now is the who and I focus on multiple elements with the who. We already talked about the first element, which is figuring out the right segment of the market. If you think about webinars as a whole, they’re a mass conversion tool. I leverage webinars for the most part as front-end acquisition for mass conversion. I want to figure out what segment of my market do I know is the largest that I am going to be able to promote and market to them to convert them on a relatively decent sized priced product. The biggest thing to focus on for me is making sure I’ve got a large enough pool because if you’re going after a super segmented audience with a webinar, unless you have access to a list or that you don’t have to pay for, like we’re big into paid advertising. We’re both direct response marketers by heart, by trade, we’re all into paid ads. I want to look at the biggest market, the biggest segment for my audience because a webinar is a mass conversion tool. If I don’t have that, I’m quite literally trying to climb a very steep hill with one leg and a broken arm. Webinar Secrets Revealed: Giving the same message to the right market could transform your business. We want to help you avoid that broken arm and that steep climb as well because it can be a steep climb when you do it on your own or try to do it on your own. I’m putting you on the spot here, with what you’ve done, with what you work with your clients. What would be one to three action steps that you would recommend somebody to take to look to be able to get that next level breakthrough and using webinars as a tool for them to grow their mass conversion? Step number two would probably make sure that you have a scalable offer. Make sure that you’re hitting a market that is large enough that you can run paid ads to for a while or you have access to a relatively large list or that market is constantly recycling and people are jumping in every single day so you’re not going to run out of people to sell to. Webinars are a mass conversion tool. You can create leverage, but you need to make sure that you’re jumping into a pool that’s big enough where you can get people on your webinar and you can convert multiple people at a time. Those were the two biggest thing is, I don’t know if I can come up with a third one. From a market research standpoint, definitely test your offers and make sure that you’ve got something that is scalable. That is great, simple advice there, Joel, and what pops up is one of the things I see a lot of people seem to do. They look at webinars as this magic button and they go, “I’m not going to do anything else but I’m just going to do a webinar and this is my Holy Grail and it’s going to be the Aladdin’s lamp. I don’t have to do nothing else.” The reality is you look at it like a sequence. What I love about you is you look at it like a sequence. I don’t know that I’ve heard you describe it exactly this way but it’s like links in a chain. The webinar is one of those links. It happens to be a powerful link but it’s multiple things that ultimately create the greatest impact or multiple channels of marketing that create the impact but it’s a high leverage tool. Out of respect for our time, if people want to go deeper with you and you’ve got some amazing resources from your podcast which I love, you’ve got an online community, this incredible resource that you sent me, where can people go to learn more about you, what you’re up to, all those sorts of things? As a response, I created an offer called The Webinar Vault, which is exactly what I just described. It’s literally archives of professional training that I did of existing webinars that are out there, readily available on the marketplace, all condensed into one simple place. I break down their entire persuasive mechanisms, everything from their content, their ads to their landing pages, to their email sequences and of course their webinars. About once a month, once every 30 to 45 days, I upload a brand new one. You can check that out over at SoldWithWebinars.com. We have a seven-day free trial so you can go check that out and see the latest installment. You also get access to Slide Sell, which is our agency software that we use to build and train our copywriters to write $1 million sales webinars. You get both of that inside of the webinar vault when you check it out. That’s where I would direct most people who are interested in learning about webinars for themselves or for their clients. Other free resources you can check out over at TheWebinarAgency.com. We’ve got a blog and podcast. You can subscribe to our podcast called Sold with Webinars. You can also subscribe to my other podcast called Experts Unleashed where we interview six and seven-figure experts on how they’ve grown and exploded their business by the art of creating and seizing opportunities. That is my stick. Is that long enough? I encourage you, if you’ve enjoyed what Joel has been able to share with you, it’s just tip of the iceberg. This guy is a genius at what he does. He’s one of the top two copywriters I know of writing webinars right now. If I asked those two to get in a fight, I think Joel might take that other dude. You can go check out what he’s doing. You can go to SoldWithWebinars.com. I’d encourage you to take his trial while it’s still available. Go check out his podcast as well Sold with Webinars on iTunes, Experts Unleashed as well. Joel, you just got back from a pretty big trip as I recall, right? I think it was the Outer Banks. Yes. We had a family vacation down at the beach. What I love about talking to partners, spouses type businesses, it’s one thing to build a business when you’re single, it’s another when you have kids and a family and I love all your photos on Facebook with all the cool stuff that you and your family do. If you were going to turn to your wife and say, “Honey, thank you for” and then fill in the blank, as it relates to the support or the cockpit she helps give you to be you, to allow you to be your best self, what do you think you’d thank her for? I know this without a shadow of a doubt. It was, “Thank you for believing in me,” number one and, “Understanding that I can do this.” As entrepreneurs, at some point or another, I hate painting a broad brush but this is one broad brush that I’m going to paint for most entrepreneurs is at some point you’re likely going to feel alone and you’re going to have self-doubt creep in, you’re going to have impostor syndrome creep in. You’re going to probably question whether or not you are doing this for the right reasons. Whether or not this is actually for you. Webinar Secrets Revealed: Get people to raise their hands and start conversations. 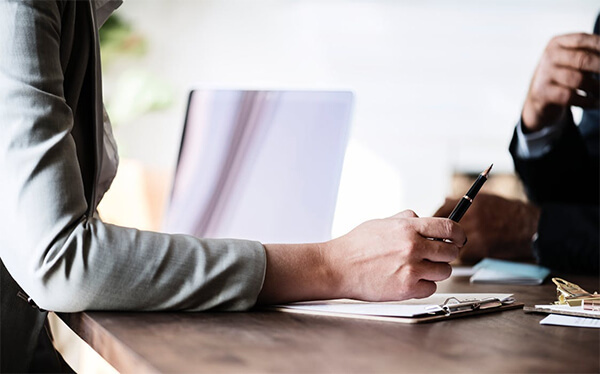 We all go through that at some point or another and having that partner, that spouse, that support arm to just see what you saw initially when you set out on your entrepreneurial ventures, they’re always going to see that in you. My wife always sees that in me, so whenever that self-doubt creeps in, whenever that doubt creeps in, it just reminds me that, “Here’s where you’ve already come, you’ve got this.” That is definitely what I can thank her for. Thank her for continuing to believe in me because that’s what keeps me going through any tough times that we have. I hope that you will because it sounds like you’ve got a great rock there to help support you and I’ve been on both sides of it and I can say that I can understand how valuable it can be truly. I hope you do. 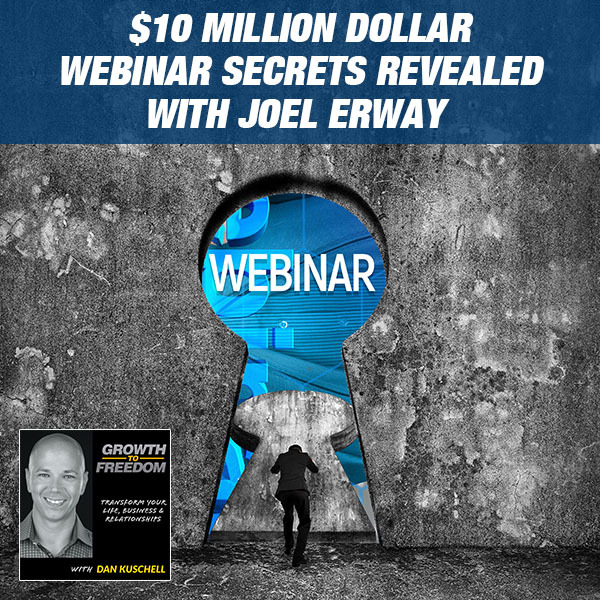 Ideally as you get a glimpse at Joel’s spirit, his genius, his wisdom and the fact is, if you’re looking to generate more clients, if you’re looking to get more conversion, if you’re looking to use a webinar, Joel’s your man. He can help you. He’s a good human being besides. I encourage you to go deeper with his resources. Go check out, SoldWithWebinars.com. Go check out his Vault, check out his podcast. Joel, this has been awesome. I wish we had hours to unpack the other genius, but I know you’ve got a lot of resources to make available. Thank you for taking the time for our audience. Dan, it was a blast. I super appreciate you inviting me on and honestly, I love talking about this stuff. Anytime you want me to have come back on or share more resources, I’m totally open on the invitation. I appreciate it. I want to encourage you to take action with what you’ve learned. I’ve got pages and pages of notes here from his three breakthrough steps for you to be able to take. Three action steps, the big shifts, focusing on the who in your marketplace, getting the right segment and a whole lot more. If you’d never want to miss an episode, you can go to GrowthToFreedom.com/subscribe. Take action, apply what you’ve been given, seize the day and make it a great week. I will see you next time. 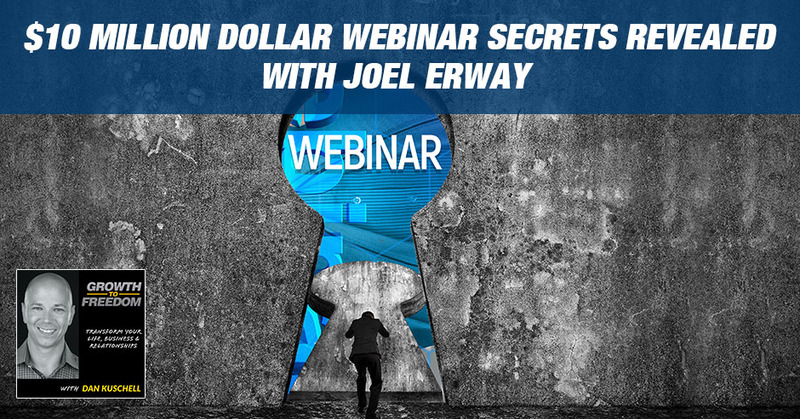 Joel Erway is a real deal webinar expert. 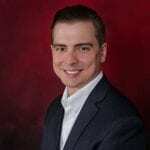 He helps craft webinars, sales pitches, funnels and messaging, as well as designs programs that get conversions. It’s no wonder why he’s the go-to consultant for many of the top performing webinars. Joel has touched over 200 webinars in the past four years with many doing seven-figures and countless others doing multiple six-figures!